Brotox. It’s exactly what it sounds like: botox for men. Botulinum toxin (more commonly known as Botox) is a protein that is primarily used to combat wrinkles, a common sign of aging skin. The protein is injected directly into the skin near “problem areas” like frown lines, crow’s feet and forehead lines. The muscles around those areas will be relaxed, resulting in smoother skin and less wrinkles. Commonly known as a “lunchtime procedure” due to the ease and minimal downtime, B(r)otox is ideal for anyone who wants younger-looking skin. The results last three to six months. Not fully convinced? Here are some reasons why you should give it a try. It’s getting more popular. 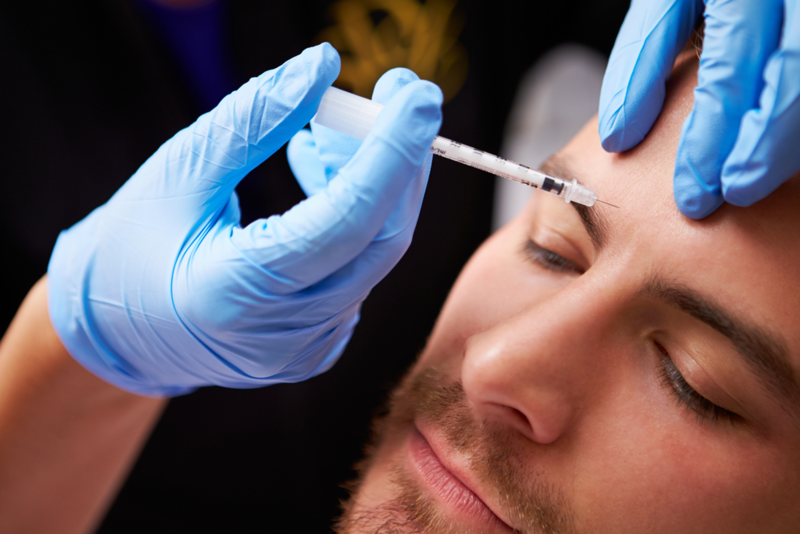 According to Botox providers, the number of men seeking Botox treatments has increased over 300% in the past ten years. How can we explain such a drastic increase? It’s due to a combination of reduced stigma and increased popularity of cosmetic procedures for men. Gone are the days of cosmetic procedures being considered “girly”. Numbers don’t lie: men are getting Botox, they are loving the results, and they are telling their friends. It will make you look younger. Wrinkles and other skin imperfections age you. It is not a bad thing to look your age, but few men wish to look older than they actually are. That’s why you shave and go to the gym: you want to look like you put time and effort into your appearance. That’s a good thing! Botox is just another way to improve your overall look. Think of it this way: people won’t know you got Botox injections, but they will know that you look youthful and rejuvenated. It will make you stand out. Men are saying that getting Botox made them more competitive in the dating world -- and, surprisingly, in the workplace. Why? It’s psychological: a youthful appearance makes you seem more energetic. Employers and even potential dates will notice when you look like you are ready to take on the world. This is especially true in the era of LinkedIn, Facebook and Instagram. Social media focuses on your appearance. Why not make your appearance the best it can be? Helen’s Haven Medical Spa wants you to look and feel like your best self. Our friendly and dedicated staff is trained in spa and medical spa treatments. We are conveniently located at 4819 Kilauea Avenue #6 Honolulu, HI 96816. Want to request an appointment? Visit helenshaven.com or download our app, available for iOS, Android and Amazon.